Beyond that, I thrived on high-school competition (except maybe with my high-school crush, lol). Loved football and softball in gym class. Became a star Mathlete. Took half-a-dozen AP classes. Still earned 97.6% grade average as Salutatorian. Scored a decent 1250-1300 on my SATs. Then when I entered New York’s RPI amidst a crowd of super-achievers, it hit me like a cement truck. I was just another average Joe Freshman, lol. Hence, I humbly abandoned the pursuit of perfection and tried to have more fun, lol. Yet despite it all, my Mom and Dad never forced or cursed or yelled. They supported me whatever I decided. I guess I was lucky. But forget about me. Try to imagine the Philippines in the 1960’s. If I recall correctly, my Mom was Yearbook President, I believe Class President, I wouldn’t be surprised if she was Prom Queen (haven’t asked her but she was definitely pretty enough), and on top of that, a “virtual” Valedictorian. I say “virtual” cuz due to some so-called grade miscalculation error (or she suspected, probably cuz she was female), the title of Valedictorian was given to the next guy. And she was so upset, she boycotted her own graduation ceremony! How cool is that! Although she planned on Industrial Engineering, she decided on a whim to see if she could enter Medical School. And she did, lol. Eventually, this high-class beauty from a local political family met the hard-working class-clown from a farming family, my Dad, lol. 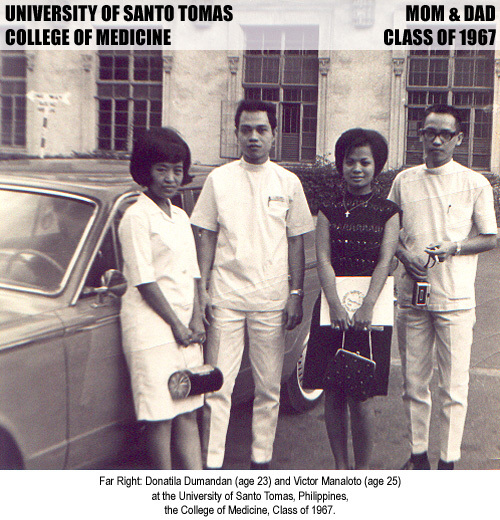 Here’s a pic of my Mom and Dad at the University of Santo Tomas, Philippines, the College of Medicine, Class of 1967, a couple years before they got married. Here are a few more pics and videos I took last year, lol. 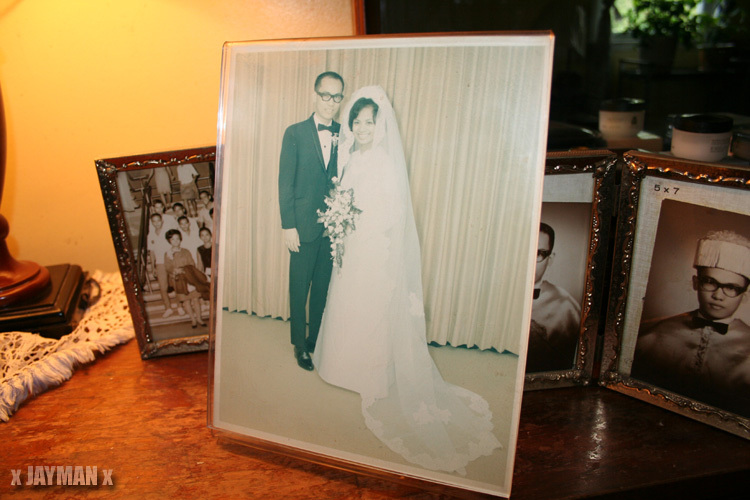 Hard to imagine, this Sept 27th, tomorrow is my parent’s 39th wedding anniversary, wow. 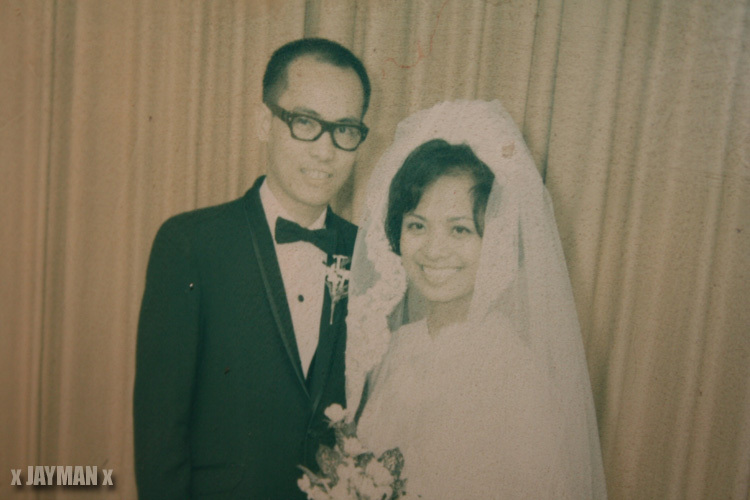 Forty years later, Dad’s retired but Mom’s still a practicing New York physician, whoa. you have an IQ of 156? impressive! @All: P.S. After talking with my Mom, I clarified a few details, lol. 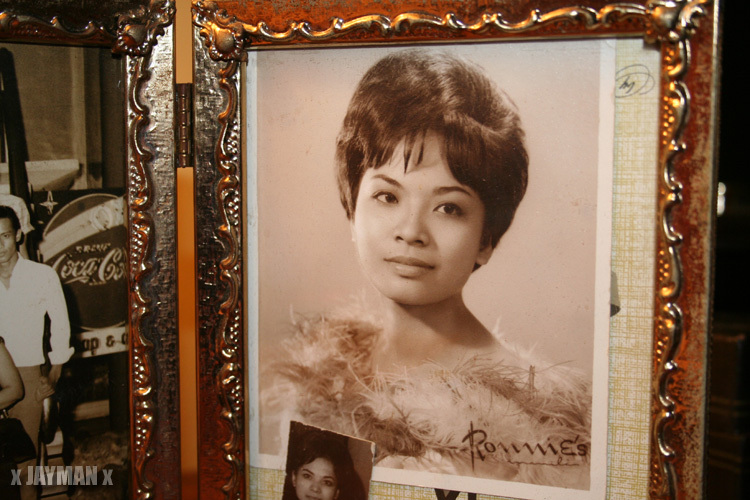 At the notable Nueva Ecija High School (in Cabana Tuan City in Nueva Ecija Province, Philippines) in the 1950’s, not only did she become a senior at the age of 15, but she also wrote articles for the yearbook, was Co-Editor-in-Chief of the school newspaper, and earned a Salutatorian-rank grade average. However, due to her outspoken nature against questionable teaching attitudes, her willingness to walk-out on those teachers’ classes, and the school’s political atmosphere, the votes of several teachers dropped her from a class rank of #2 (Salutatorian) down to #4 (Second Honorable Mention). When the news hit her ears, she pulled all of her articles from the newspaper, pulled four or five more from the yearbook, and let her Dad take her home so she could boycott the graduation ceremony! In fact, the Principal even had plans to stop her graduation! That’s really neat! >.< Haha they added a writing section to it. Plus an essay. ;_; Certainly it wouldn’t be great to have the title as “dumbest otaku” would it? xD So i guess being smart isn’t necessarily a bad thing..